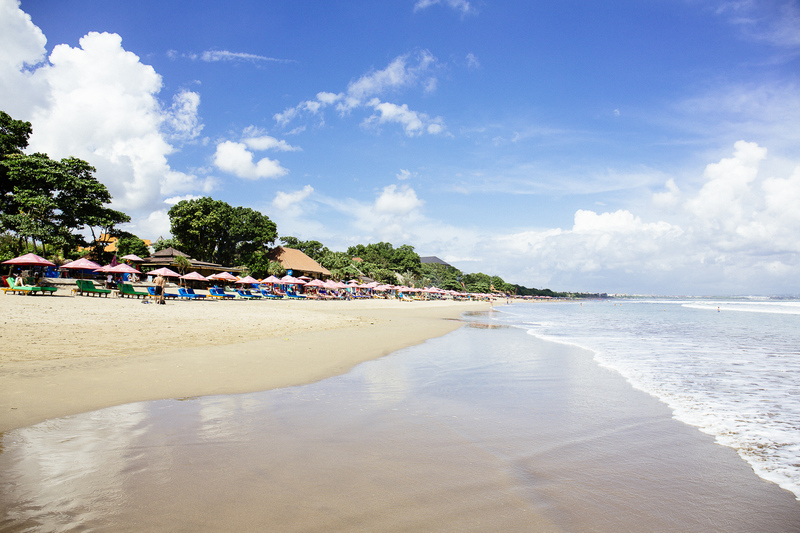 If you are looking for the perfect place for an idyllic holiday in Bali, your search is over. Villa Seni is the paradise you’ve been looking for. Located a short walk from the beach, restaurants and bars, Villa Seni is a relaxing hideaway that proves you really can have it all. Step inside the luxurious Villa Seni and relax in your own personal paradise, complete with tropical gardens, a stunning landscaped pool, comfortable living areas and large double bedrooms. With everything you need to experience the very best that Bali has to offer, you’ll never need to leave. If you do want to venture outside your private villa and explore the local area, Villa Seni is a short walk from the action. Villa Seni is just a five minute walk from Dhyana Pura Street, the beach and beach bars. You’re also within walking distance of shops and restaurants, including the highly recommended Gado Gado restaurant and the rooftop bar of the Anantara Hotel. Featuring a spacious and airy open plan, Villa Seni epitomizes the true meaning of indoor-outdoor living. With beautifully crafted furniture and stunning art works by Andrew Wellman adorning every room, exceptionally high ceilings, attractive tropical garden featuring palm trees and comfortable sun loungers by the pool, Villa Seni offers endless relaxation. Sip cocktails on comfortable couches in the open-plan living space while listening to music through our high quality music station. If that’s not enough, we can organise for a masseuse to come to Villa Seni so that you can indulge in a relaxing massage without having to leave your luxurious villa. To ensure your holiday is as relaxing and stress-free as possible, we offer an initial grocery shopping service. Simply send us your list before you set off and we’ll make sure that everything you need is ready and waiting for you when you get here. This service is included in the cost of your stay – you’ll only need to cover the cost of the groceries. Or, for the ultimate luxury, we can arrange for a private chef to come and cook you a delicious Balinese meal in the comfort of Villa Seni. Our talented chefs will create a culinary feast showcasing local flavours and traditional cooking techniques. Enjoy your meal on Villa Seni’s antique dining table overlooking the tropical landscaped pool. And the best part? No washing up to do. The staff will take care of everything for you. The beautiful, spacious bedrooms of Villa Seni mean that you can have the perfect night’s sleep and wake up fresh and rejuvenated each morning. Villa Seni has two bedrooms – one upstairs and one downstairs for optimum privacy. Each bedroom has been furnished with beautifully crafted furniture in traditional Balinese style, and has full air conditioning of ultimate comfort. The downstairs bedroom has a super king-sized bed or two singles, a large TV and large doors which open up to the pool and terrace. A large, comfortable bathroom is en-suite and fitted with a rainshower. Situated in the perfect location and with Balinese beauty both inside and out, Villa Seni is the perfect place for your relaxing Bali getaway.